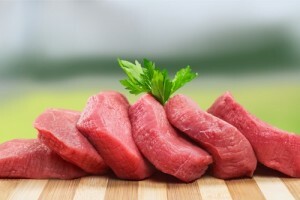 Does Eating Red Meat Really Cause Cancer? Does Eating Red Meat Really Cause Cancer? A recent report by the World Health Organization (WHO) resurfaced the debate on whether red meat and processed meat consumption causes cancer. Media publications and readers alike were quick to respond to the report. Many felt that the report lacked research and clarification on many factors about health, food and disease. Although, WHO’s committee of scientists with the International Agency for Research on Cancer (IRAC) published a Q&A on its website, many people are left confused on whether red meat and processed meat does in fact cause cancer. When observing a report such this one, it’s important to understand how the results were gathered. Similar to any examination you come across, it is always good to keep in mind that this is one group’s analysis. Much of the terminology throughout the IRAC report uses expressions such as “usually”, “limited evidence” and other general words that denote factual information while still inserting an amount of doubt or uncertainty. This type of language should be noted that this report is one recommendation and not the only scientific evidence on the subject. Individuals should be well informed on the all sides of the subject before taking any action. IRAC gathered information from 800 different studies from food questionnaires around the world. In effort to find agents that cause cancer, the IRAC came up with a list of 900 agents that have been linked to cancer. Only 1 out of the entire list was said to not cause cancer. Some of the items on the list included coffee, wine, and of course red and processed meat. One of the biggest issues with these results is that it is based on possibilities and not direct causation. Therefore, correlation data gathering may yield uncertain and potentially misleading results. When most hear red meat they think of only beef. In fact, beef is just one typeof red meat. As a whole, red meat includes veal, pork, lamb, mutton and goat. In regards to the report, IARC defines processed meat as meat that has been “transformed through salting, curing, fermentation, smoking or other processes to enhance flavor or improve preservation.” So, beyond red meat, this also includes poultry (chicken, duck, geese, quail, and turkey) and liver. The IARC found positive associations between eating red meat and developing colorectal cancer. In addition, they found sufficient evidence of carcinogenicity in humans from eating processed meat.It was stated that processing meat techniques and cooking methods at high temperature can lead to the development of carcinogenic chemicals, the same type of chemicals that are found in asbestos, a set of six naturally occurring fibrous minerals, and tobacco smoke. We are all aware that smoking is a major contributor to the risk of lung and other types of cancer, but the comparison between tobacco smoke, asbestos and red and processed meat makes it seem that eating this type of meat is just as bad as smoking, which is not true. According to the IARC, for every 1.8 ounces of processed meat eaten daily, the risk of colorectal cancer goes up about 18% over what it would have been if you didn’t eat processed meat. This statistic is something the public should be informed about, but also, the risk of developing colorectal cancer is fairly low and is not on the same level as risks from cigarette smoke. The other piece of this debate that people should take into consideration is other lifestyle influences. It is easy to identify one cause — eating processed or red meat — as the culprit for developing a disease. Realistically there are many other factors to consider that may contribute to health problems. Other lifestyle influences include, but are not limited to: exercising habits (or lack there of), alcohol consumption, sugar intake, high cholesterol, and genetics. It is no surprise that processed meat like hot dogs, bologna and beef jerky is not that best source of protein for us, but this doesn’t mean you should give up on eating red and processed meat entirely. There is a large difference between grass fed, locally sourced red meat, nitrate free sausage, and mainstream factory raised or farm lot grocery store meat. This report is a good reminder that just like the rest of your diet, you should consume such products in moderation and always eat clean, locally sourced food when it’s available. It is important to educate yourself on the food industry, understand the ingredients and process in which the products you eat are made. Try to not read too much into what the media says, instead take it as a notice to be more informed. This entry was posted in Informational, News and tagged Cancer, Health, Red Meat. Bookmark the permalink.